A motorcyclist in Kirkintilloch had a lucky escape after youths assaulted him while he was riding his bike. 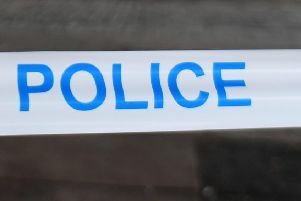 The biker was struck in the face after they threw a stick or a stone at him around 4pm on Thursday, March 28 at Boghead Road between Lenzie Academy and Campsie View schools. He wasn’t injured as he had a visor covering his face but was badly shaken and reported the assault to police. An officer at Kirkintilloch police station confirmed the incident had happened and that officers were looking into it.